I was noodling around on Google Images, looking for some sort of phosphorescent creature to paint onto this background with its subtle washes of not-quite-black colors, and I came across some nifty sea anemones. They had squat, coppery bodies and phosphorescent green tentacles, and so I got out the shiny duochrome paint and got my tentacle mojo on. Somehow, they ended up looking rather houseplant-like when all was said and done. 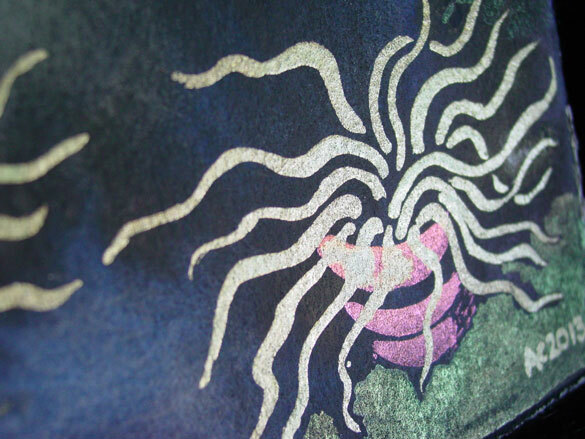 And then I thought, well, in underwater R’lyeh, phosphorescent anemones would make the perfect sort of houseplant for slumbering Cthulhu. 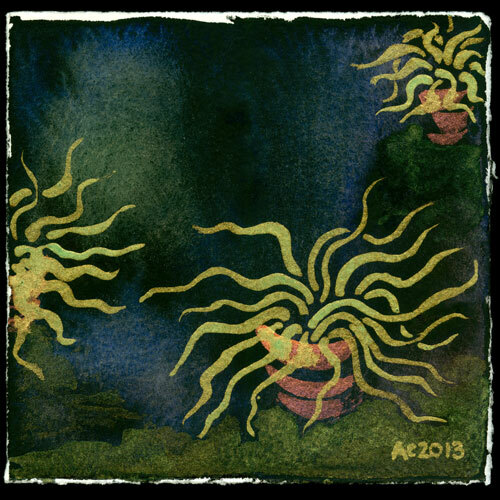 Houseplants of Cthulhu, 5″x5″ Japanese watercolor and duochrome watercolor on Arches cover white paper. Above, you can see the various duochrome paints catching the sunlight, turning to ruby and gold and green instead of the copper and green and, well, darker green. 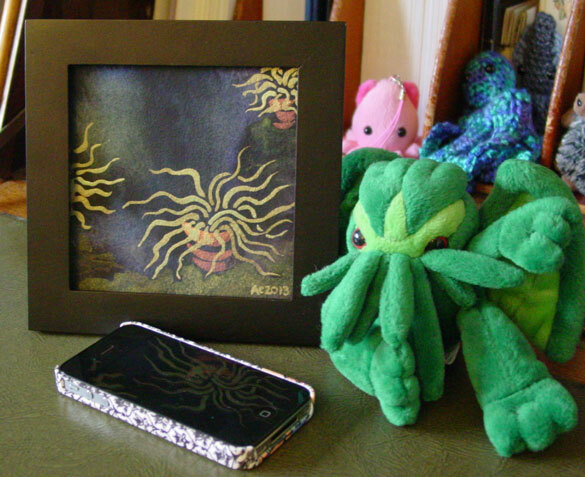 Below, wee plushie Cthulhu is tending to his houseplants like a Great Old One should. Except with less death and doom.